Picture the scene: it’s a one-make racing series full of Lamborghinis. Lamborghini SUVs, to be precise. Dozens of thumping great twin-turbo V8s are throbbing angrily on the starting grid, and half the track is made up of gravel and/or mud. Sounds pretty cool, doesn’t it? Well, it’s about to happen. 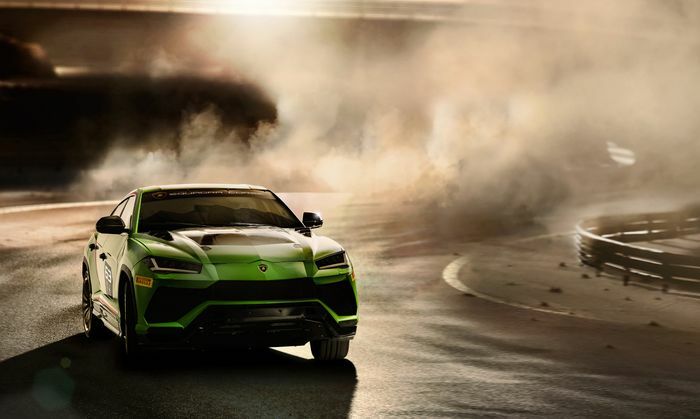 Whether you love or loathe the Urus, mixed-surface racing will challenge drivers to the limit and guarantee some paint-swapping action. 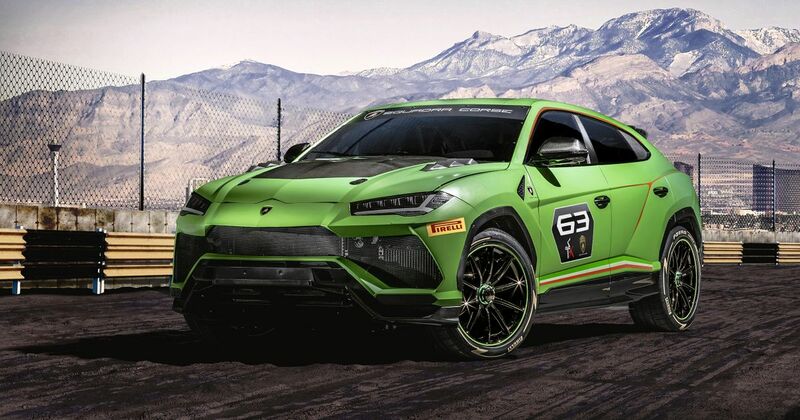 The as-yet unnamed Lamborghini Urus race series inspired by Rallycross promises to be all kinds of awesome when it arrives in Europe and the Middle East in 2020. Competitors – or should we say combatants – will contest the championship on an arrive-and-drive basis. You really could see people driving their modified Urus to various tracks before thrashing them around and driving them home again. Admittedly, most people will probably use a trailer, but still. 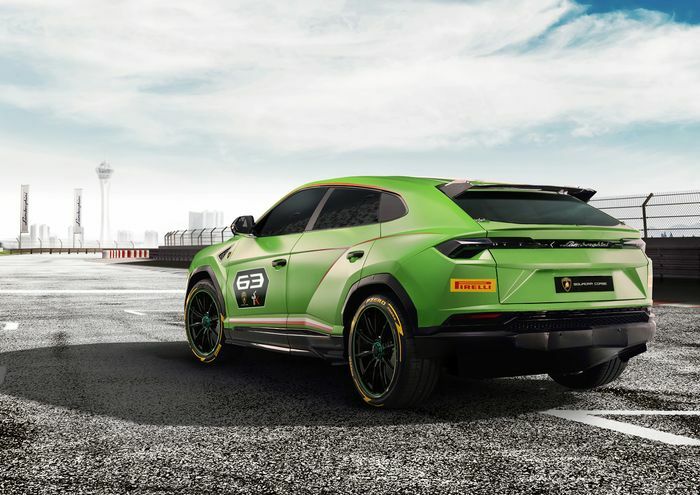 What you’re looking at here is the Urus ST-X concept; a racing version of the controversial super-SUV designed to be easily built from a standard Urus base. Lamborghini calls it “mechanically optimised” and equipped with the necessary FIA-spec safety gear like a roll cage and fire extinguisher. The 641bhp twin-turbo V8 is unchanged except for more potent cooling thanks to larger air intakes. There’s a big rear wing, torsional stiffening, a higher ride height and – impressively – a 25 per cent weight cut versus the luxuriously-appointed road car. It wears Pirelli tyres over race-spec 21-inch alloy wheels that feature a single nut at the centre of each, for easy mounting and unmounting. You’ll have brought spare sets of wheels and tyres with you, right? 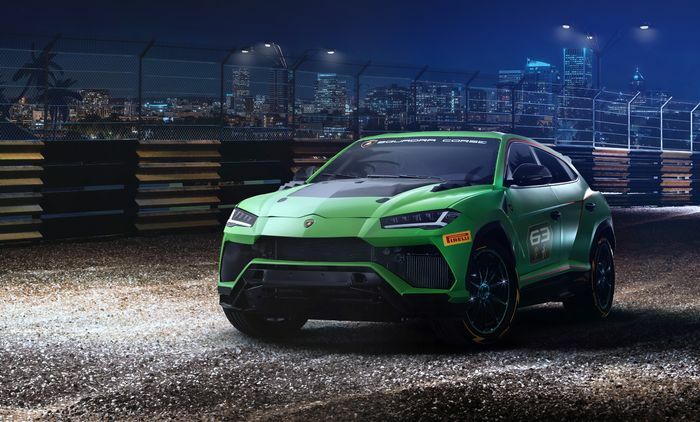 As much as we can’t help but think an Aventador-based Rallycross series would have been even better, the Urus one-make series should be one to watch. We’re looking forward to it.